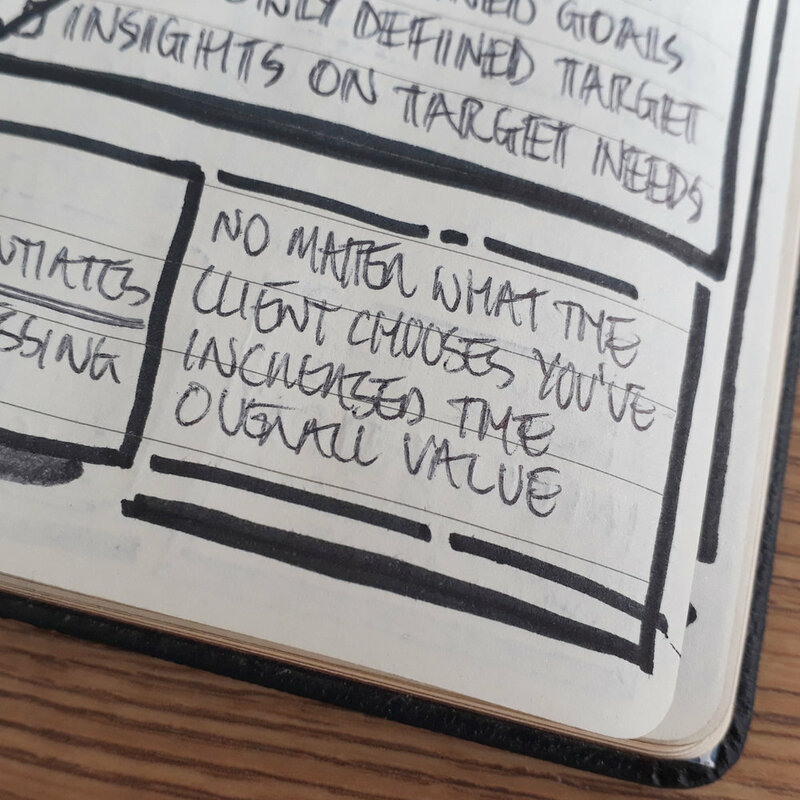 Kick-starting this week’s retrospective, here are some inspirational Sketch Quotes, to help you to push past that Monday feeling. How do you turn knowledge into action, and action into wealth? Learning is the only way to not only survive, but thrive in this crazy ever-changing world of creative business. The only way to fully understand a subject is to share and teach others about it. This is one of the reasons I started creating nudenotes and co-founded this website - not only to understand and retain the material better, but to share it with anyone who wants to hear it. I love these kind of things, hopefully I can remember them and use them to help me understand my own emotions. My new goal is to use at least one of these words in conversation. My personal favourite is Jouska, a hypothetical conversation that you play out in your head. I can’t count the amount of times this happens to me, especially before a bid design meeting when I’m trying to anticipate the possible question and answers. 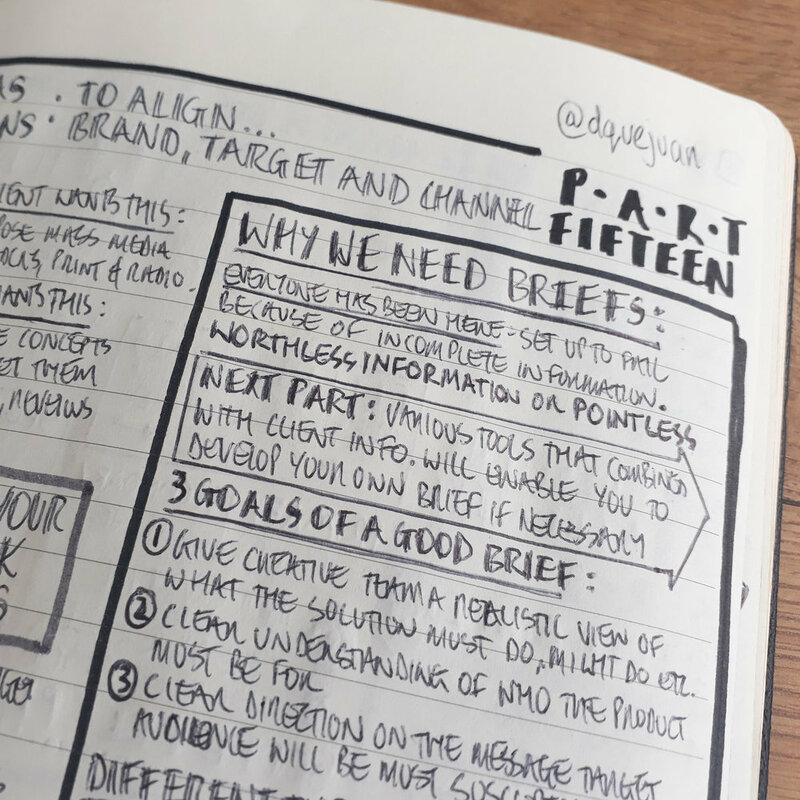 Focussing on how to go beyond "make it pretty" and why we need briefs. Ever since I started reading this book, I have begun a quest to think more strategically and less tactically bout my daily work. Now I’m always striving for clarity on the real problem to solve. More and more, I find that it’s not just about “making things pretty”, there’s almost always a deeper insight waiting to be discovered. This is where the real value is for those involved in a project. It’s this value I chase in every solution I design. Buy Creative Strategy and the Business of Design here. Perceptual maps form a small part of a larger process of developing products, brands and services for consumers. 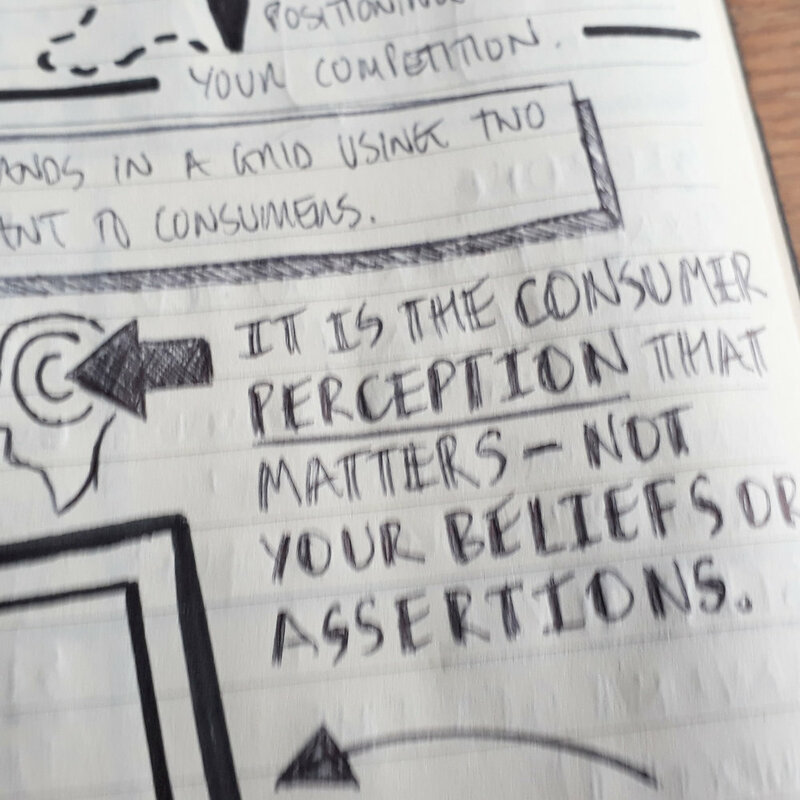 This technique can be a tricky to master, but can be an effective tool for all creative professionals to help you understand where your product/brand sit amongst your competition from (and this is the important bit) your consumers’ perspective. If this technique is used correctly, it can be a powerful tool which can unearth opportunities and unseen insights. 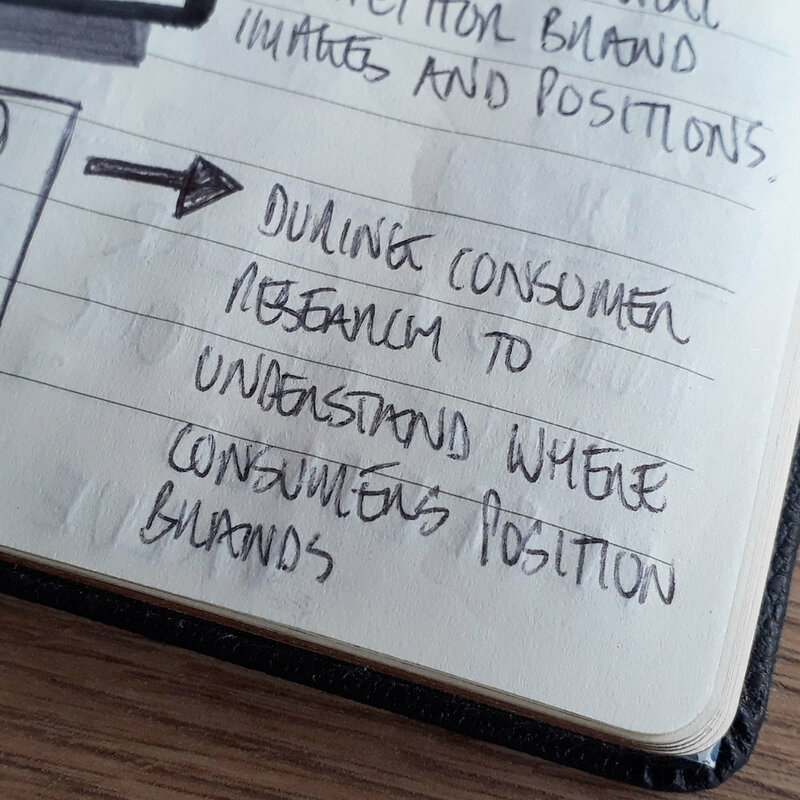 This technique of analysis can be used as valuable part of a kick-off session of a new brand or product, and it can also be used to show the transition visually in a rebrand, new product launch or repositioning project. The main goal of these maps is to help gain a better understanding of consumers’ perception of your ideas and solutions in order to help deliver a solution that resonates with your target audience on a deeper level. Therefore, they get the best experience and value from your creative solutions. As always with my nudenote-based articles, there’s a mini graduation present: a link to a high-resolution PDF of my nudenotes I made in preparation for writing the blog. It also includes some of the call-out images used in the article. There are no catches, it’s a completely free resource for you to use as a reference whenever you need it. That was this week in nudenotes - come back next Sunday for another recap post. For those of you keen to be first in the know on all things nudenotes, head over to my Instagram and hit that Follow button. Until next time… in case I don’t see you, good afternoon, good morning and good night.